For the Javanese, beautiful hand painted batik are not merely pieces of clothes but carry much more significance that symbolises life itself. Different regions have their own unique style. Pekalongan with its Chinese influence design and pastel color. 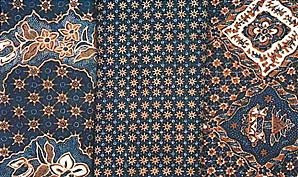 Batik made in Solo and Yogya are traditionally coloured blue-symbolizing earth, brown-symbolizing fire and white-symbolizing water and air.